Mystic history and swirling legends are a treat until the damp earth is pulled beneath my feet. The misty morning made the ancient ground and air damp. And just like Alice in Wonderland, I found myself sitting on the ground with my feet straight out in front of me. Dressed in my blue and white cotton dress my long blonde hair was tousled about my shoulders. The soggy cobbled path that led to the haunted tower at Warwick Castle in Warwick, England was like a sheet of ice on my descent. Sitting in the rainfall, a wee bit closer to English history than I had anticipated, I felt the eyes of a nearby Italian tour group and my dear friend upon me. Through her laughter she asked about my welfare. Taking her hand and pulling myself up, I brushed as much embarrassment and dirt away as possible. The slick pathway was a diversion from our stride towards the “haunted tower” of Waterhouse Tower. 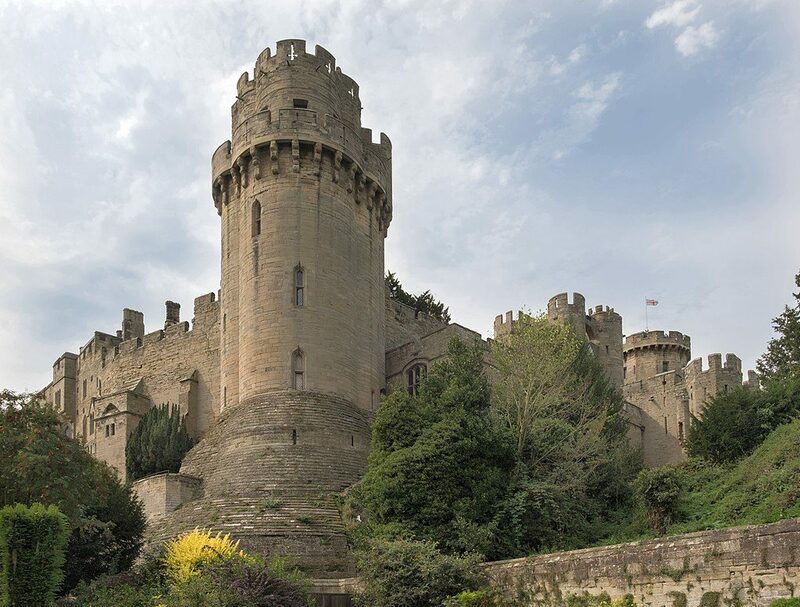 The castle sits along a bend by the river Avon in the county of Warwickshire. Its history dates back 1,100 years. Many lives have passed this territory and its ramparts. Their evidence is found in the significant physical and spiritual imprints. Warwick’s (pronounced Worrick) history goes back to the Roman invasion of Britain. The castle has gone through a sweeping assortment of changes. Murder and treason played a large part of its history. Besides my romantic connotations of the castle I was intrigued by the dungeons and the castle’s phantoms. The dark chambers of the dungeons are found in the lowest chamber of Caesar’s Tower. Narrow steps lead you down to the castle’s gloomy past. The tight quarters house medieval torture devices and a haunting feature of the oubliette. An oubliette is a small chamber which contains no windows. Prisoners were kept in complete darkness with hardly enough room to lie down. A trapdoor in the ceiling allowed food and water to be transferred to the prisoner. However it was the Waterhouse Tower that was most memorable. This tower is said to be haunted by the restless spirit of Sir Fulke Greville, who was murdered by his manservant, Ralph Heywood in London. 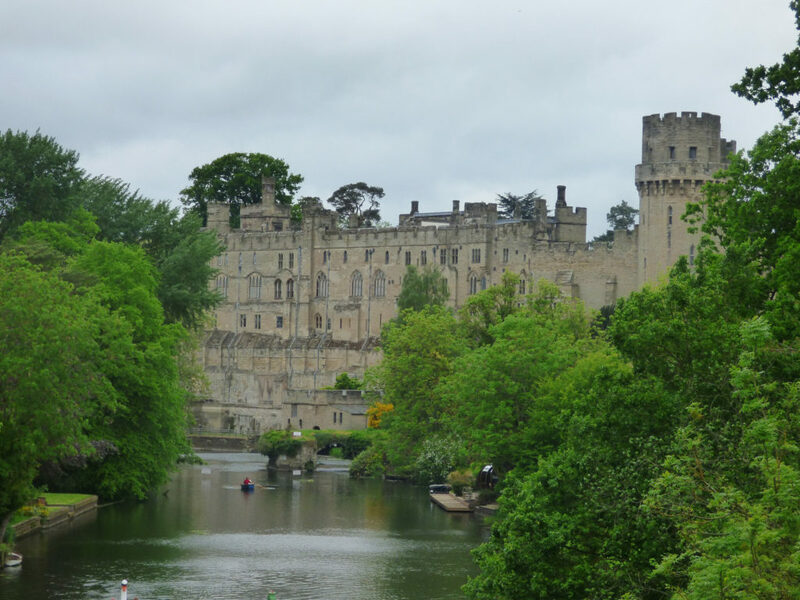 Warwick Castle was granted to Greville by James I in 1604. He began restoring the castle which had fallen into great decay. Greville lived from 1554 to 1628. As you ascend the steps inside the gloomy Ghost Tower, eerie sounds exhale in the dark as you explore the two rooms where Greville once occupied while the castle was experiencing repairs. As you enter the bedroom a deep voice startles you as he describes the chilling tale of the murder. The recording narrates that while Greville and one of his man-servants were away in London, a dispute took place between the two men over the contents of Greville’s will. Heywood assumed that Greville did not bequeath him what was owed. Heywood stabbed Sir Fulke. However after realizing the heinousness of his act he stabbed himself and died immediately. Greville died 27 days later after great efforts to save his life. His body was transferred to Warwick and buried at St. Mary’s Church. His ghost is said to haunt the tower where he once lived. His spirit reportedly appears in his portrait that hangs above the fireplace. Some have claimed a dark figure hides in the corners of the rooms and the sense of being watched causes their hair to rise and goose bumps to form. Upon my descent and exit of the tower I gazed upon the stone ground where I had once sat. Had I slipped due to the rainfall? Suddenly I began to doubt the incident. My eyes were drawn towards the tower windows. A grainy figure stared down at me with mocking laughter. Had I been pushed by something paranormal? My gaze once more glanced towards the tower. My eyes were met by a barren wet window and the sound of a quiet drizzle and English birds echoing in the courtyard.